At WWT we shape unforgettable experiences for our visitors. We believe the best way for people to understand and connect to wetlands is to experience them, so we bring awe-inspiring nature up close and let it do the talking. At WWT Arundel Wetland Centre we want to ensure that our visitors receive a warm, friendly welcome to ensure they have a comfortable and enjoyable visit. In this role you’ll be part of the team providing a helping hand to ensuring that our visitors have a great day to remember from start to finish. You’ll also be a key representative and champion of WWT actively engaging our visitors, providing them with information and advising them on our latest conservation initiatives and the benefits of our membership scheme. How much time will it take? We are looking for volunteers who can ideally commit to one day a week. Shifts are from 10am to 3pm, with suitable breaks. 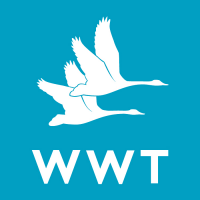 Have an interest in and enthusiasm for WWT’s work, nature and the outdoors and can share this with others. Are able to work under your own initiative during quieter times under direction.